Ursuline's art program is one of its unique strengths. The Art Department firmly believes that all students are artists capable of making significant works of art. Art is required in grades 6, 7, and 8. In 9th grade, the requirement is an Introduction to the Arts, encompassing art and music. Electives in art include Studio Art, Drawing, Painting, Art History, 3-d Design and Mixed Media, Computer Graphic Design, Digital Photography, portfolio courses, and AP art. All art students interact with actual works of art in museums and galleries, and they enjoy virtual museum visits via the Internet. 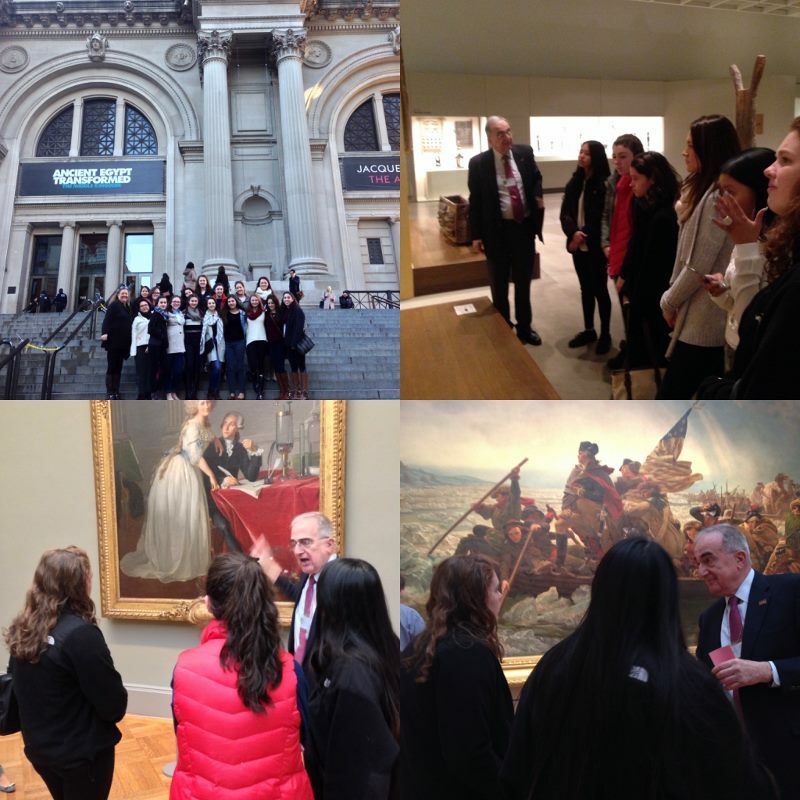 Art History students visited the Metropolitan Museum of Art in Manhattan (above, left). Students in Advanced Drawing and Painting spent a morning at the Katonah Museum of Art (above, right). 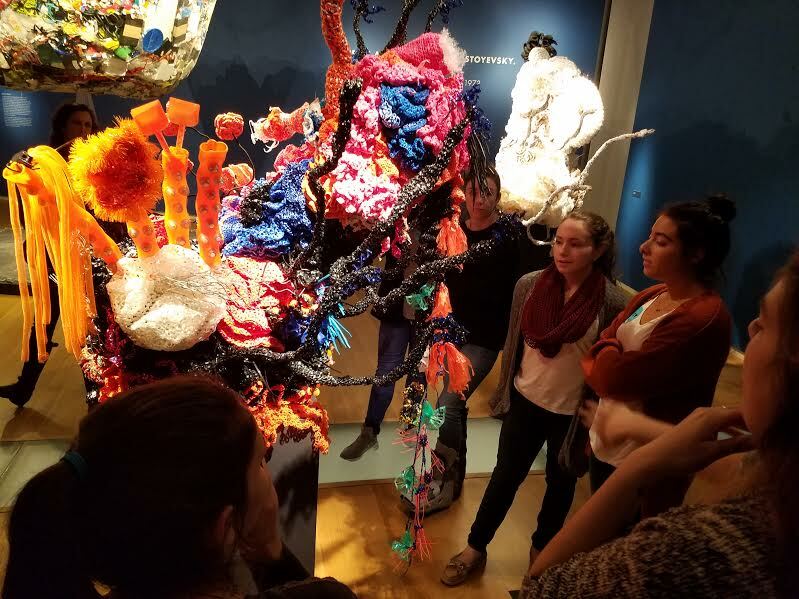 Ceramics and Sculpture students went to the Museum of Arts and Design, in Manhattan (below). Every school year culminates with an art show in which all student work is displayed, and in which seniors are given special places to set up one-woman shows. Each year, the administration buys several works of art done by graduating seniors, and the school now has an extensive collection on display. The annual school calendar is also filled with student art. Clubs such as Art Society and Photography Club afford other vehicles for creative expression.